Today we are sharing a sweet Easter egg card by Maria! 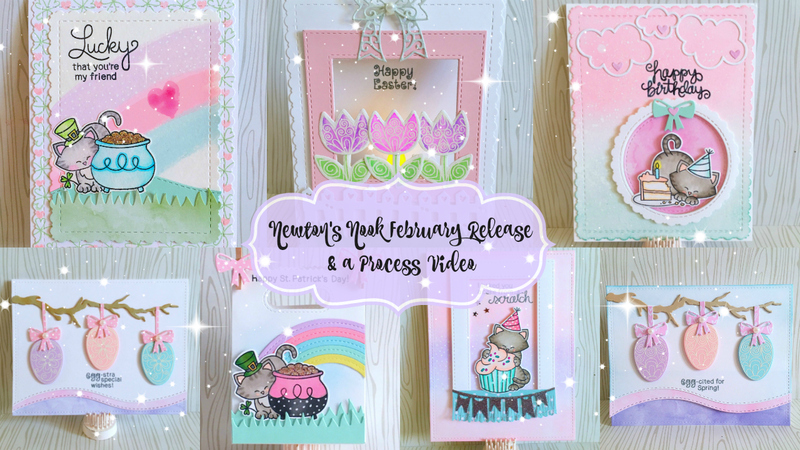 She created those pretty pastel eggs using the egg from our NEW Beautiful Spring stamp set, embossing them in white on pretty pastel colored cardstocks. She added adorable pink bows using bow from our Pines & Holly Die Set to place on top of each egg and then added them to a tree branch! What a fun idea! She also created some fun curved edges along the bottom of her card using our NEW Land Borders Die Set! To see more about how she created this card, along with a review of our newest release, check out Maria's fun video too. You can find it here. Thanks the fun card inspirations today, Maria! Wow, so beautiful!! I can't wait to receive and play with this lovely set. So pretty and cute! Love the soft pastel spring colors on all the cards!!! These are all gorgeous Maria. Just amazing to see them all together! So very pretty!